Honor may have just announced the bargain of the century - meet the Honor 9. With a Full HD 5.15-inch screen, Kirin 960 octa-core processor, 4GB RAM, and Android 7 (Nougat). This is a 2017 flagship through and through. It even has an impressive dual camera set up, with one 12MP colour sensor and one 20MP monochrome sensor for improved low-light performance. Does that sound familiar? Yep, essentially Honor's new flagship is identical to the Huawei P10, one of T3's favourite smartphones of 2017. That's no surprise, Honor is part of Huawei, after all, but usually Honor's flagship gets a small downgrade to avoid eating into sales of it's more premium and more expensive brother. That's not really the case here, you even get the same amount of storage (64GB) and the same sized battery (3,200 mAh). The major difference is, most obviously, the design. The P10's aluminium chassis has been replaced by a 3D Glass and metal casing, which comes in Sapphire Blue, as well as more traditional colours. Also, as this phone is intended for younger, more trendy users, you get a subscription to the MTV Trax streaming service. 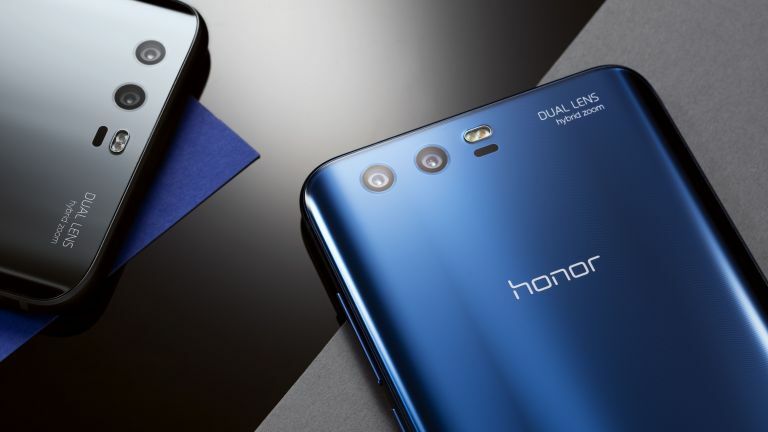 Honor has also partnered with headphone specialists Monster, to develop the Honor Purity equalizer and a pair of earbuds. It's currently unclear whether these buds will be bundled with the phone. Right, now onto the price. The Honor 9 is available for pre-order now for £379.99 on vMall and Amazon. You can get it on a contract with Three in early July. That's a A LOT of phone for not very much money. Stay tuned to T3.com for a full review.